Can You Save by Prepaying Property Tax? 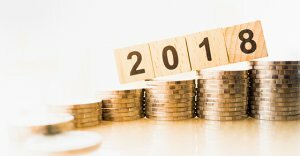 Prepaying property taxes related to the current year but due the following year has long been one of the most popular and effective year-end tax-planning strategies. But it may not continue to make sense in 2018 depending on your individual situation. For some people accelerating this expense will increase their itemized deductions, reducing their tax bills. But for many, particularly those in high-tax states, changes made by the Tax Cuts and Jobs Act (TCJA) eliminate the benefits. Your other SALT expenses for the year must be less than $10,000. If you don’t itemize, or you’ve already used up your $10,000 limit – on income or sales taxes or on previous property tax installments. Accelerating your next property tax installment will provide no benefit. John and Jane, a married couple filing jointly, have incurred $5,000 in state income taxes: $5,000 in property taxes, $18,000 in qualified mortgage interest, and $4,000 in charitable donations, for itemized deductions totaling $32,000. Their next installment of 2018 property taxes, $5,000, is due in the spring of 2019. They’ve already reached the $10,000 SALT limit, so prepaying property taxes won’t reduce their tax bill. Consider the changes brought about under the TCJA before you prepay property taxes. Much is different this year from last year. Review your situation carefully to be sure it will provide a tax benefit. And keep in mind that, just because prepayment will increase your 2018 itemized deductions, it doesn’t necessarily mean that’s the best strategy. For example, if you expect to be in a higher tax bracket in 2019, paying property taxes when due will likely produce a greater benefit over the two-year period. We have been working with individuals and businesses all year to help them find the best tax strategies for them under the TCJA. But time is running out. Contact Ciuni & Panichi Tax Department Senior Accountant Shlomo Benzaquen, CPA, MBA at 216-831-7171 or by email here. Find out whether prepaying property taxes makes sense for you this year. We can also suggest other year-end tips for reducing your taxes.